Crisp-skin prawns with flour-wrapped pear balls. 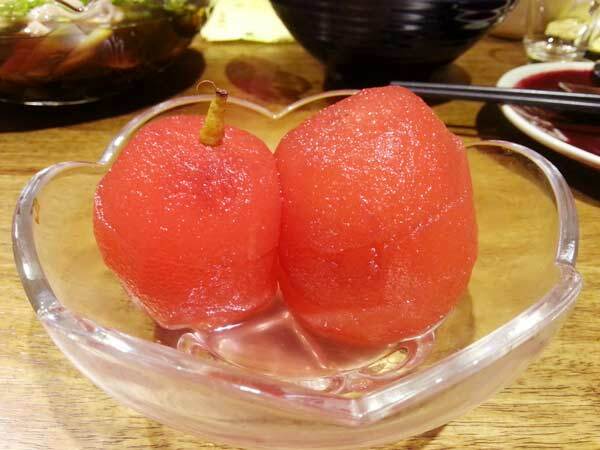 The restaurant makes very good desserts. 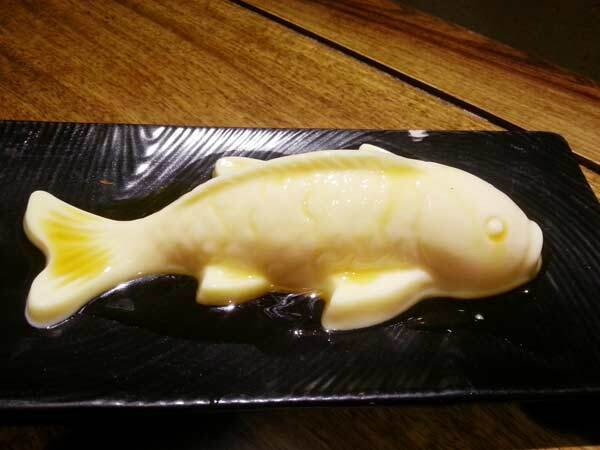 Cheese "fish" is a light-tasting jelly-like dessert in theshape of a fish. Red bean and yellow pea cake tastes natural and smooth. Red-wine poachedpears are very well made and reasonably priced. For hot dishes, try dry-braised yellow croaker, crisp-skin prawnswith flour-wrapped pear balls, and "want to eat" roast potatocubes. The Xiaodiao signature rice in soup has two versions -one in a tasty yellow chicken broth, another with light-tastingmushroom soup. It is a medium-sized restaurant. The space is divided into manydifferent rooms. But one does not feel so constricted, thanks togood design and decor. Instead it has a classic style thatseems to take one back to old Beijing. One room even has twotrees growing out of a glass roof, creating the perfect ambienceon a sunny day. The owner of the restaurant, a local Beijinger of Manchu ethnicity, had previously opened NajiaXiaoguan, a private imperial-style restaurant. 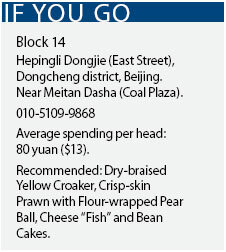 Diners might find Xiaodi Litang a more reasonablypriced version of Najia Xiaoguan. 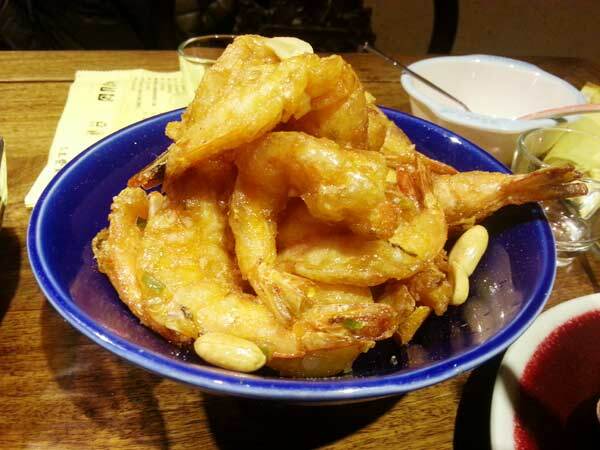 The dishes are a fine version of popular home-style Chineseand Beijing foods. It is a feel-good eatery that would be good for a happy get-together with friends or family.